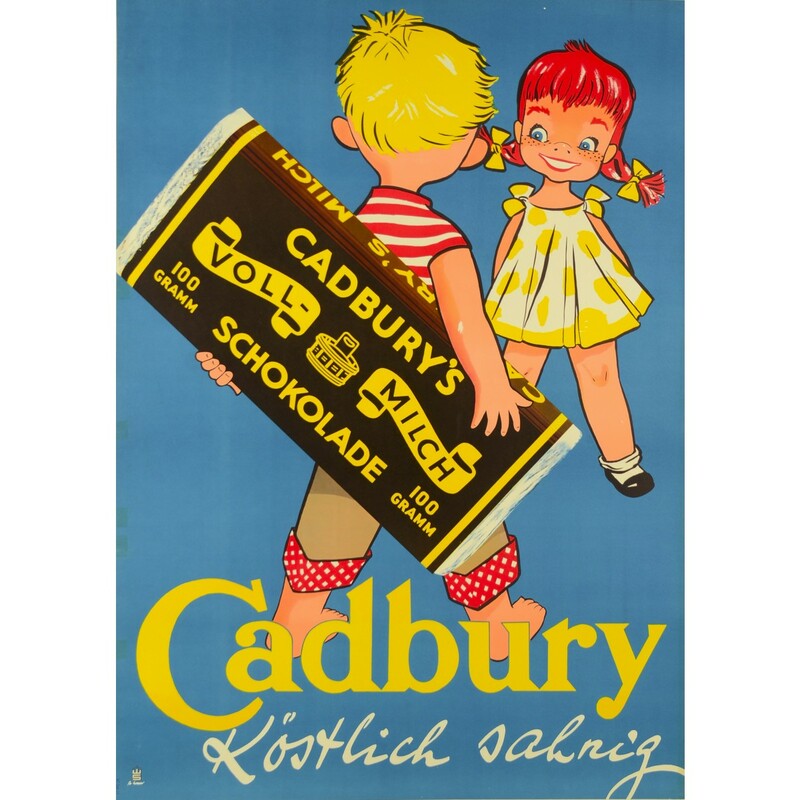 A joyful poster commissioned by Cadbury for the German speaking market. As the captions tell us this variety of chocolate was manufactured using whole milk and the end result was delicious and creamy. 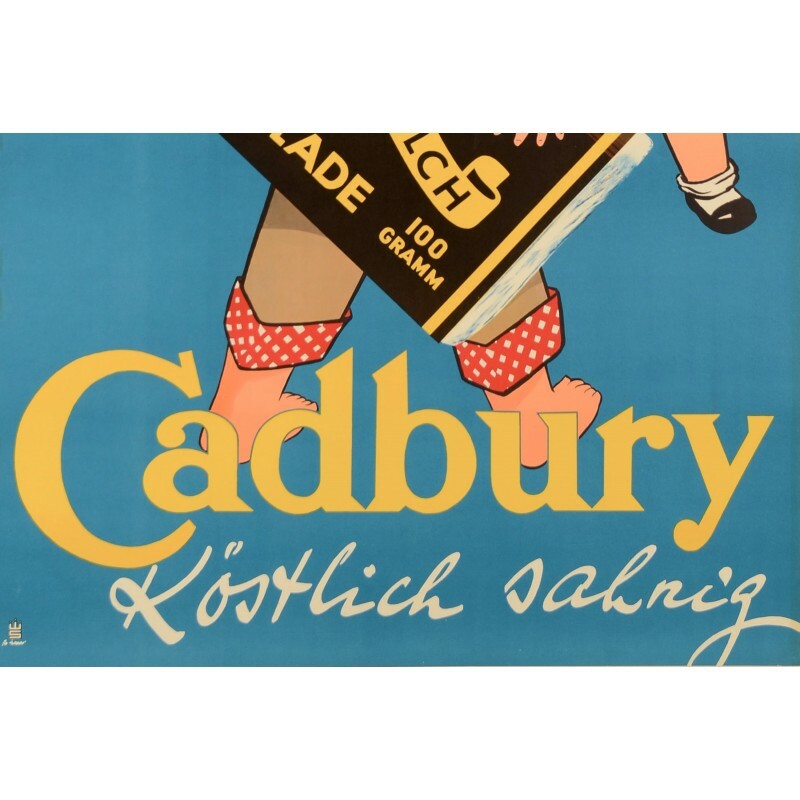 In 1824, John Cadbury began selling tea, coffee, and drinking chocolate, which he produced in Birmingham, England. The Cadbury brothers opened an office in London and in 1854 they received the Royal Warrant as manufacturers of chocolate and cocoa to Queen Victoria. As of today Cadbury is a confectionery company owned by Kraft Foods and is the industry's second-largest globally after Mars, Incorporated. The company operates in more than 50 countries worldwide.